German bathroom manufacturers are developing “multicultural toilets” to help ensure Middle Eastern migrants need not adapt to European sanitation norms. Multiple reports have emerged of recent arrivals finding themselves utterly “mystified” by Western loos. Some have resorted to doing their business on the floor or outdoors, others have used showers, and many migrants will have never seen toilet paper before. The issue caused some serious confusion last year, with one small German village beingaccused of racism after issuing leaflets politely asking migrants to use to the correct facilities. With 1.5 million migrants from the Middle East and North Africa arriving in the country last year, solving the problem without facing such accusations of bigotry presents a sizeable business opportunity. Enter the Global Fliegenschmidt toilet manufacturers based in Coswig, Saxony-Anhalt, who have announced their plans to develop a mobile “multicultural toilet” complete with a squatting platform and water hose for migrant friendly sanitation. “Because everyone knows: Different cultures also mean different scale latrines. 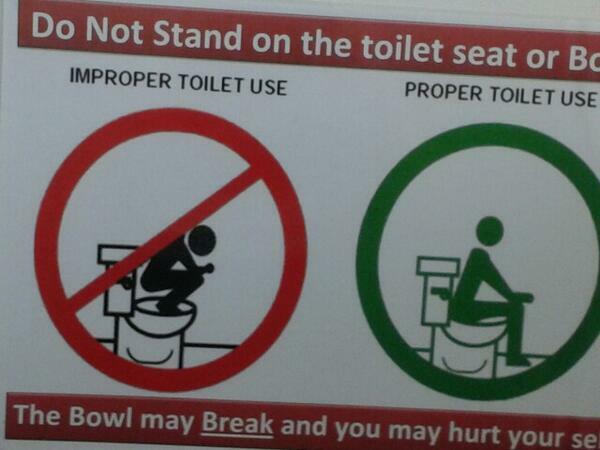 For Muslims, it is important that when using a toilet, one’s back does not face Mecca. In addition, latrines for men and women have to separate from each other, and the floor cannot be green in colour, because that is the colour of Islam”, reads their report. The article describes refugees standing on toilet bowls and breaking them, and some who resort to defecating in bushes. “German toilets are a mystery to many refugees and this has already led to problems. A new mobile multicultural toilet should remedy this—and along the way teach something about the coexistence of cultures”, declares the article. In concludes: “And so, as the refugees have brought about many changes in German society solely by their presence… so is it now with the toilet in the future with this pressing issue.